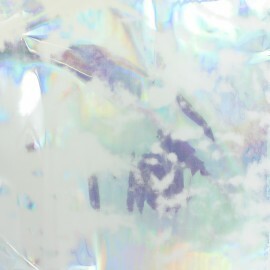 Leave out the traditional yellow raincoat and fall for this Holographic Marble transparent special rain waterproof fabric in a pretty marble pattern. With this waterproof, flexible and lightweight fabric and make shiny rainwear but also pencil cases and bags! 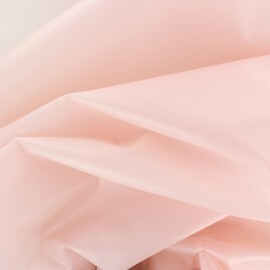 Leave out the traditional yellow raincoat and fall for this Rainy reversible and transparent special rain waterproof fabric in a pretty transparent Lychee pink color. With this waterproof, flexible and lightweight fabric, choose your finish matte or slightly glossy and make rainwear but also pencil cases and bags! Leave out the traditional yellow raincoat and fall for this Rainy reversible and transparent special rain waterproof fabric in a pretty transparent cherry red color. With this waterproof, flexible and lightweight fabric, choose your finish matte or slightly glossy and make rainwear but also pencil cases and bags! Leave out the traditional yellow raincoat and fall for this Rainy reversible and transparent special rain waterproof fabric in a pretty transparent orange color. With this waterproof, flexible and lightweight fabric, choose your finish matte or slightly glossy and make rainwear but also pencil cases and bags! 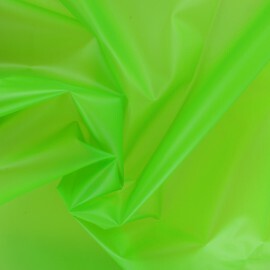 Leave out the traditional yellow raincoat and fall for this Rainy reversible and transparent special rain waterproof fabric in a pretty transparent lime green color. With this waterproof, flexible and lightweight fabric, choose your finish matte or slightly glossy and make rainwear but also pencil cases and bags! Leave out the traditional yellow raincoat and fall for this Rainy reversible and transparent special rain waterproof fabric in a pretty transparent green color. With this waterproof, flexible and lightweight fabric, choose your finish matte or slightly glossy and make rainwear but also pencil cases and bags! Leave out the traditional yellow raincoat and fall for this Lighthouse reversible and transparent special rain waterproof fabric with pretty striped lighthouses and boats pattern on a transparent background. With this waterproof, flexible and lightweight fabric, choose your finish matte or glossy and make rainwear but also pencil cases and bags! 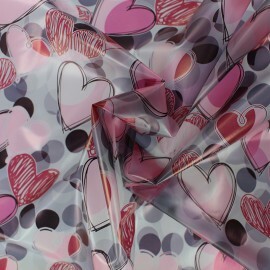 Leave out the traditional yellow raincoat and fall for this Heart reversible and transparent special rain waterproof fabric with pretty pink and red hearts pattern on a transparent grey background. With this waterproof, flexible and lightweight fabric, choose your finish matte or glossy and make rainwear but also pencil cases and bags! 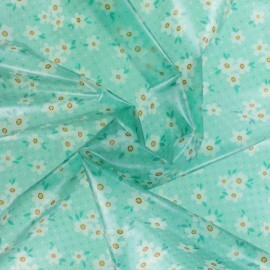 Leave out the traditional yellow raincoat and fall for this Daisy reversible and transparent special rain waterproof fabric with pretty white daisies pattern on a transparent green background. With this waterproof, flexible and lightweight fabric, choose your finish matte or glossy and make rainwear but also pencil cases and bags! Leave out the traditional yellow raincoat and fall for this reversible and transparent special rain waterproof fabric with colorful graphic patterns. With this waterproof, flexible and lightweight fabric, choose your finish matte or glossy and make rainwear but also pencil cases and bags! 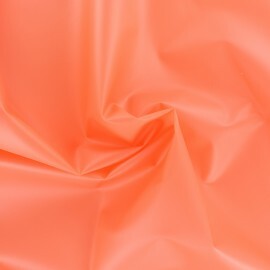 Soft and memory foam, this polyester fabric will be perfect to make modern dresses and skirts ! 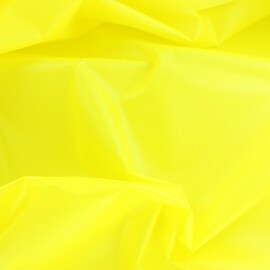 Enjoy this Glossy polyester fabric in neon yellow color ! 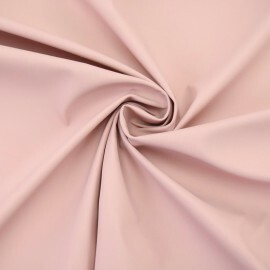 Soft and memory foam, this polyester fabric will be perfect to make modern dresses and skirts ! 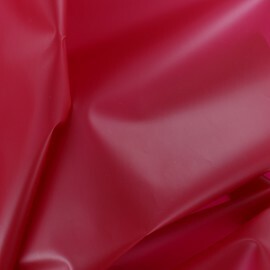 Enjoy this Glossy polyester fabric in neon pink color ! 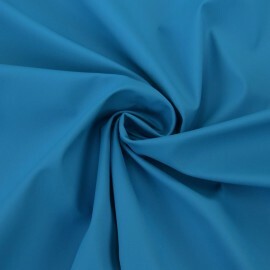 Soft and memory foam, this polyester fabric will be perfect to make modern dresses and skirts ! 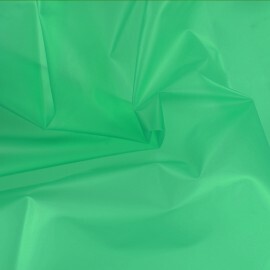 Enjoy this Glossy polyester fabric in neon green color ! A raincoat for the mid-season or a rainy summer, it's a basic timeless for all ! 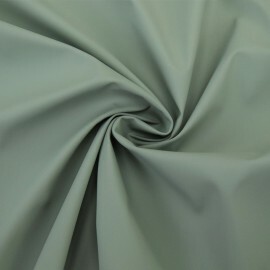 Fall for this khaki green waterproof rain fabric. 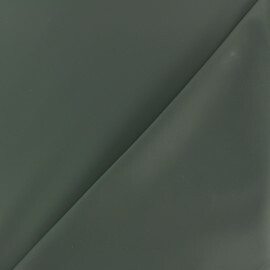 This matte waterproof fabric is flexible, lightweight, perfect for raincoats and bags ! A raincoat for the mid-season or a rainy summer, it's a basic timeless for all ! 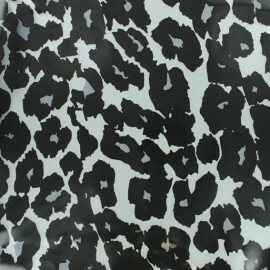 Fall for this black waterproof rain fabric. 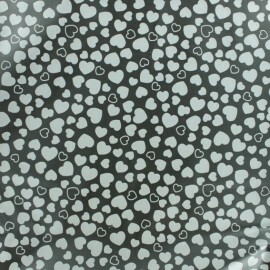 This matte waterproof fabric is flexible, lightweight, perfect for raincoats and bags ! A raincoat for the mid-season or a rainy summer, it's a basic timeless for all ! 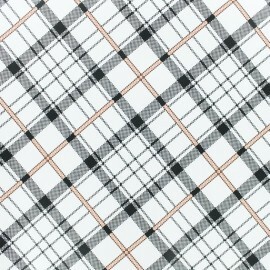 Fall for this off-white waterproof rain fabric. 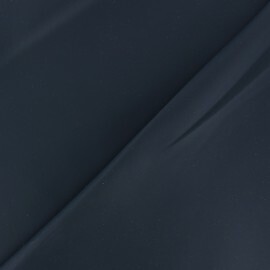 This matte waterproof fabric is flexible, lightweight, perfect for raincoats and bags ! A raincoat for the mid-season or a rainy summer, it's a basic timeless for all ! 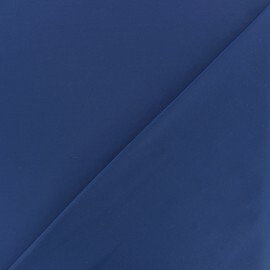 Fall for this navy blue waterproof rain fabric. This matte waterproof fabric is flexible, lightweight, perfect for raincoats and bags ! A raincoat for the mid-season or a rainy summer, it's a basic timeless for all ! 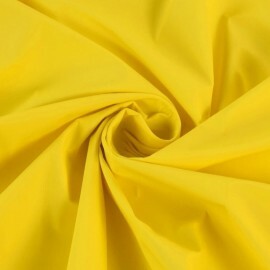 Fall for this mustard yellow waterproof rain fabric. This matte waterproof fabric is flexible, lightweight, perfect for raincoats and bags ! Leave out the traditional yellow raincoat and fall for this reversible and transparent special rain waterproof fabric with pretty Cherry patterns. With this waterproof, flexible and lightweight fabric, with a matte finish make rainwear but also pencil cases and bags! 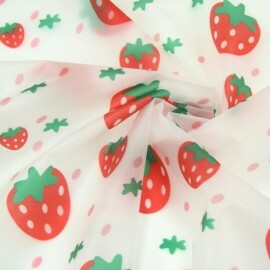 Leave out the traditional yellow raincoat and fall for this reversible and transparent special rain waterproof fabric with pretty strawberry patterns. With this waterproof, flexible and lightweight fabric, with a matte finish make rainwear but also pencil cases and bags! A raincoat for the mid-season or a rainy summer, it's a basic timeless for all ! 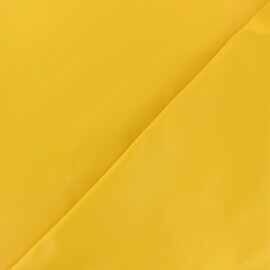 Fall for this mustard yellow waterproof rain fabric. This waterproof fabric is flexible and lightweight, perfect for raincoats and bags ! A raincoat for the mid-season or a rainy summer, it's a basic timeless for all ! Leave out the traditional yellow raincoat and fall for this old pink waterproof rain fabric. This waterproof fabric is flexible and lightweight, perfect for raincoats and bags ! 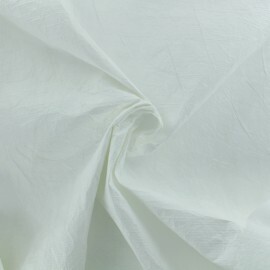 Make some original clothes and accessories with this very light waterproof fabric with a pretty crinkled paper finish. 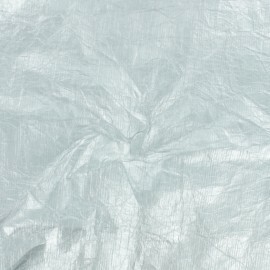 This fabric with a matte silver color will be perfect to make raincoat for rainy summer. 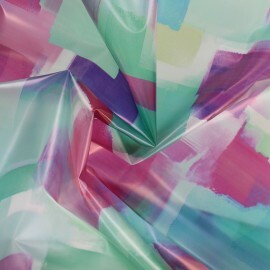 Make some original clothes and accessories with this very light waterproof fabric with a pretty crinkled paper finish. 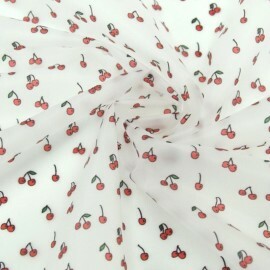 This fabric with a matte white color will be perfect to make raincoat for rainy summer. A raincoat for the mid-season or a rainy summer, it's a basic timeless for all ! Leave out the traditional yellow raincoat and fall for this funny waterproof rain fabric with exotic bird patterns. 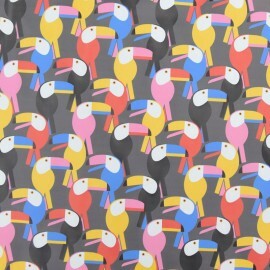 Fall for the pretty and colorful toucans on a grey background of this waterproof fabric, flexible and lightweight! A raincoat for the mid-season or a rainy summer, it's a basic timeless for all ! Leave out the traditional yellow raincoat and fall for this funny waterproof rain fabric with puffin bird patterns. 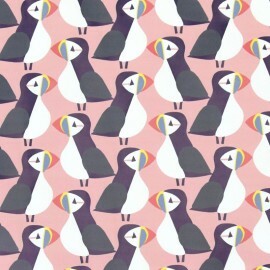 Fall for the pretty puffins, national symbol of Iceland, on a pink background of this waterproof fabric, flexible and lightweight! A raincoat for the mid-season or a rainy summer, it's a basic timeless for all ! Leave out the traditional yellow raincoat and fall for this funny waterproof rain fabric with puffin bird patterns. 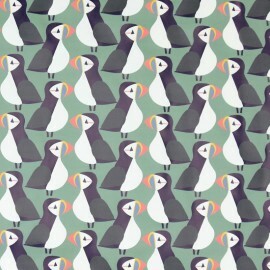 Fall for the pretty puffins, national symbol of Iceland, on a green background of this waterproof fabric, flexible and lightweight! A raincoat for the mid-season or a rainy summer, it's a basic timeless for all ! 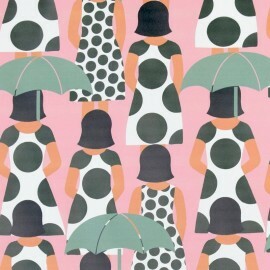 Leave out the traditional yellow raincoat and fall for this funny waterproof rain fabric with girly patterns. Fall for the pretty seventies Brigitte patterns on a purple background of this waterproof fabric, flexible and lightweight! A raincoat for the mid-season or a rainy summer, it's a basic timeless for all ! 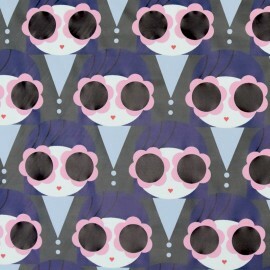 Leave out the traditional yellow raincoat and fall for this funny waterproof rain fabric with girly patterns. 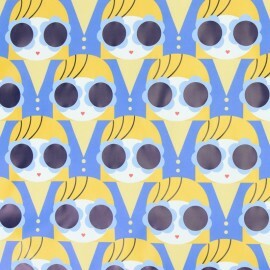 Fall for the pretty seventies Brigitte patterns on blue background of this waterproof fabric, flexible and lightweight! A raincoat for the mid-season or a rainy summer, it's a basic timeless for all ! 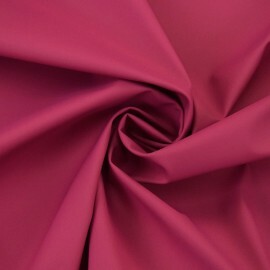 Leave out the traditional yellow raincoat and fall for this fuchsia pink waterproof rain fabric. 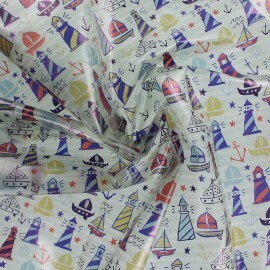 This waterproof fabric is flexible and lightweight, perfect for raincoats and bags ! A raincoat for the mid-season or a rainy summer, it's a basic timeless for all !  Leave out the traditional yellow raincoat and fall for this white waterproof rain fabric. This waterproof fabric is flexible and lightweight, perfect for raincoats and bags ! A raincoat for the mid-season or a rainy summer, it's a basic timeless for all ! 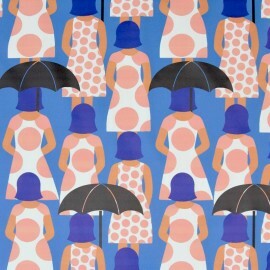 Leave out the traditional yellow raincoat and fall for this blue waterproof rain fabric. This waterproof fabric is flexible and lightweight, perfect for raincoats and bags ! Leave out the traditional yellow raincoat and fall for this reversible and transparent special rain waterproof fabric with leopard patterns. Choose your finish: matte front "frosted glass effect" or glossy back ! With this waterproof, flexible and lightweight fabric, make rainwear but also pencil cases and bags! Leave out the traditional yellow raincoat and fall for this reversible and transparent special rain waterproof fabric with heart patterns. Choose your finish: matte front "frosted glass effect" or glossy back ! With this waterproof, flexible and lightweight fabric, make rainwear but also pencil cases and bags! Leave out the traditional yellow raincoat and fall for this reversible and transparent special rain waterproof fabric with bubble dot patterns. Choose your finish: matte front "frosted glass effect" or glossy back ! With this waterproof, flexible and lightweight fabric, make rainwear but also pencil cases and bags! Leave out the traditional yellow raincoat and fall for this reversible and transparent special rain waterproof fabric with Prince of Wales patterns. Choose your finish: matte front "frosted glass effect" or glossy back ! With this waterproof, flexible and lightweight fabric, make rainwear but also pencil cases and bags! A raincoat for the mid-season or a rainy summer, it's a basic timeless for all ! Leave out the traditional yellow raincoat and fall for this waterproof rain fabric with patterns. 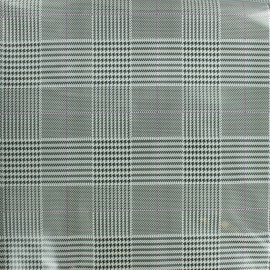 Fall for the black and white checked patterns of this William waterproof fabric, flexible and lightweight! A raincoat for the mid-season or a rainy summer, it's a basic timeless for all ! Leave out the traditional yellow raincoat and fall for this waterproof rain fabric with patterns. 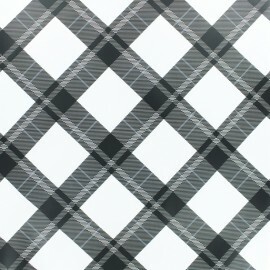 Fall for the black and white checked patterns of this Harry waterproof fabric, flexible and lightweight! A raincoat for the mid-season or a rainy summer, it's a basic timeless for all ! Leave out the traditional yellow raincoat and fall for this waterproof rain fabric with patterns. 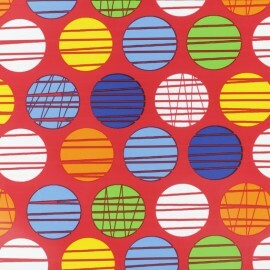 Fall for the pretty colorful polka dots on red background of this waterproof fabric, flexible and lightweight! A raincoat for the mid-season or a rainy summer, it's a basic timeless for all ! Leave out the traditional yellow raincoat and fall for this waterproof rain fabric with patterns. 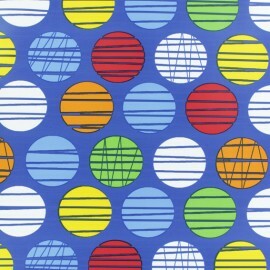 Fall for the pretty colorful polka dots on blue background of this waterproof fabric, flexible and lightweight! A raincoat for the mid-season or a rainy summer, it's a basic timeless for all ! Leave out the traditional yellow raincoat and fall for this waterproof rain fabric with patterns. 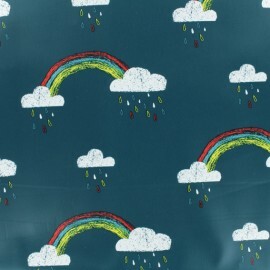 Fall for the pretty rainbows and clouds on a deep petrol blue background of this waterproof fabric, flexible and lightweight! A raincoat for the mid-season or a rainy summer, it's a basic timeless for all ! Leave out the traditional yellow raincoat and fall for this waterproof rain fabric with patterns. 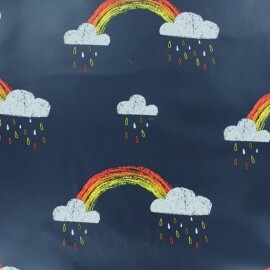 Fall for the pretty rainbows and clouds on a deep navy blue background of this waterproof fabric, flexible and lightweight! A raincoat for the mid-season or a rainy summer, it's a basic timeless for all ! Leave out the traditional yellow raincoat and fall for this waterproof rain fabric with patterns. 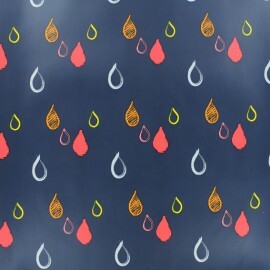 Fall for the pretty rain drops on a deep navy blue background of this waterproof fabric, flexible and lightweight! A raincoat for the mid-season or a rainy summer, it's a basic timeless for all ! Leave out the traditional yellow raincoat and fall for this waterproof rain fabric with patterns. 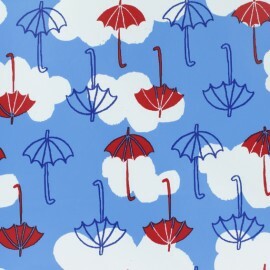 Fall for the pretty umbrellas on a cloudy sky blue background of this waterproof fabric, flexible and lightweight! 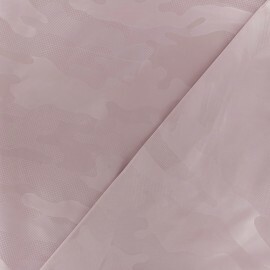 Discover our light pink Army Parachute fabric and create pretty windbreaker or dresses! 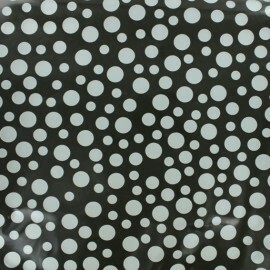 This parachute fabric is fine, lightweight and solid, perfect for your outdoor creations and accessories.